OCS offers a complete range of internal transport systems with overhead and floor conveyors for production processes and storage systems. 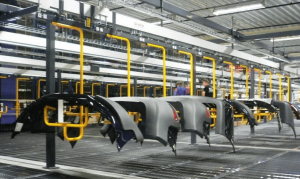 The systems have all the necessary features such as Power & Free buffers, workstations, switches, curves, vertical conveyors and automatic loading positions. As the OCS system for overhead conveyors are standard components built into modules, we can quickly and easily adapt to manage the processes even after installation and commissioning. Everyone strives for a frictionless production process where everything is lean. We also do this by building our technology on – friction. A patented technology that provides an oil-free, quiet and flexible conveyor solution. The track’s driving mechanisms on our two overhead conveyors consist of a friction belt for the OCS 150 and a rotating aluminium tube for the OCS 500, both driven by a worm gear motor. 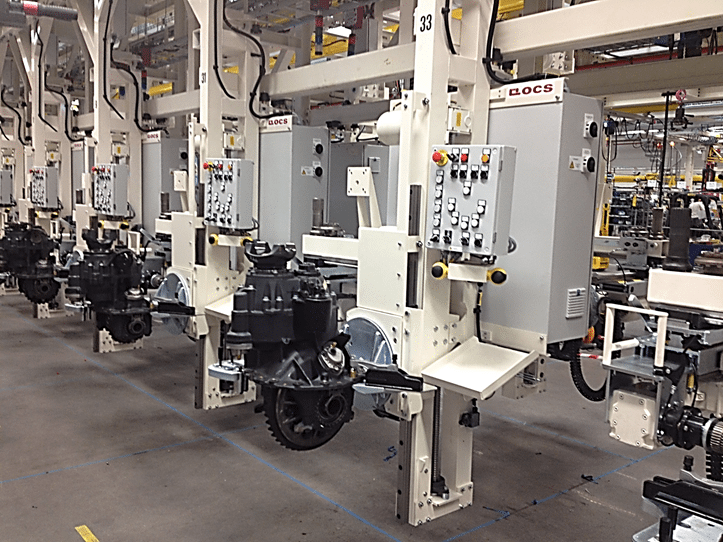 The OCS 150 trolleys are equipped with a friction pad which is pressed against the drive belt by means of spring force. In this way, the force is transferred to the drive plate and the trolley is moved forward by friction. On the OCS 500, the trolley has four angled wheels that apply pressure on to a rotating aluminium tube. In this way, the rotational force is transferred through the wheels driving the trolley forward by friction. Clean, quiet and efficient. Variable speed sections in one solution. Steve Groocock will be available during the Expo to demonstrate how an OCS Conveyor can benefit your business by increasing floor space, simplifying production processes and giving returns on the initial investment way beyond the ROI point.